Our selection of the finest accessories for the holiday season. 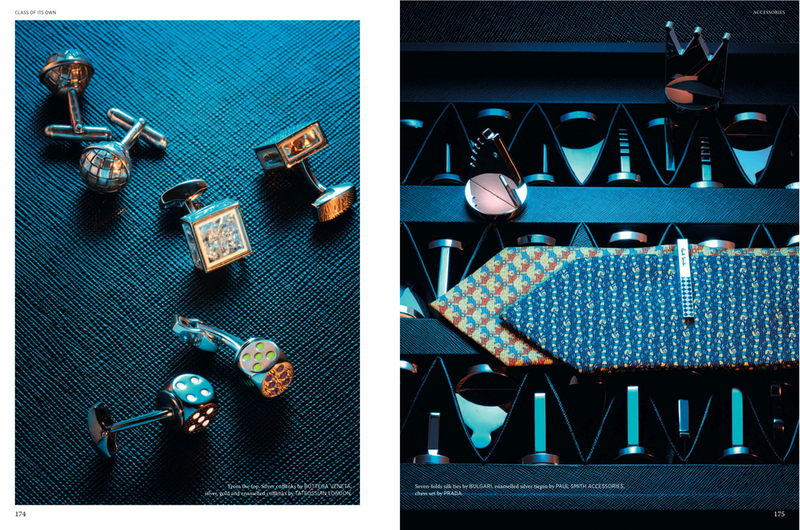 Wallets by VALEXTRA, BOTTEGA VENETA and VALENTINO GARAVANI, playing cards by TIFFANY & CO.
Cufflinks by BOTTEGA VENETA and TATEOSSIAN LONDON, ties by BLUGARI, tiepin by PAUL SMITH ACCESSORIES, chess set by PRADA. 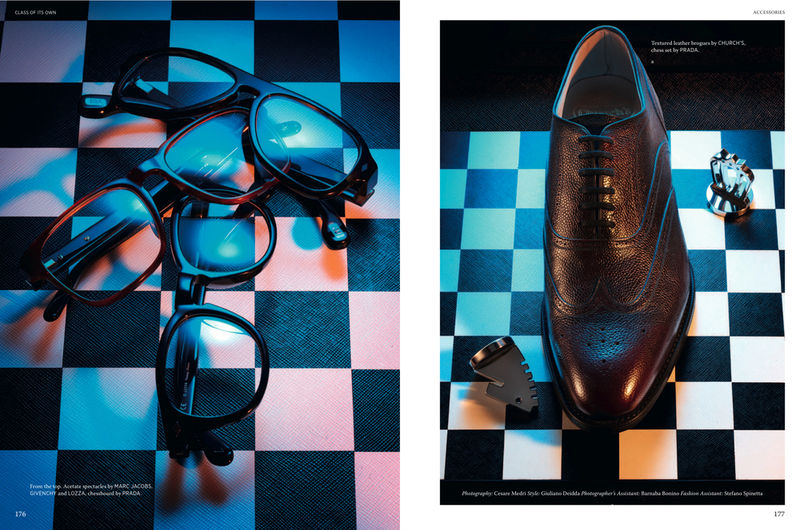 Spectacles by MARC JACOBS, GIVENCHY and LOZZA, brogues by CHURCH’S, chessboard by PRADA.